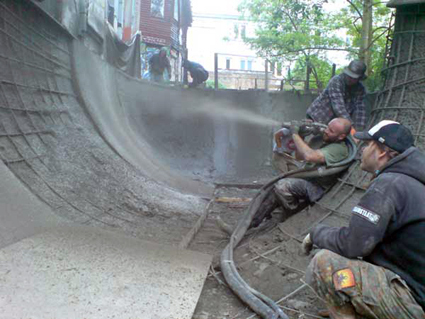 After the first try ended without success, they stopped working on the skatepark for the winter to come back in April 2007 with more helping hands, knowledge and support. During that month the project got more and more supported, so that they were able to finish the first part after 25 days of hard work. The skatepark remained like this until this year. The last two years, the Flora Skatepark Crew organized two benefit parties to get at least a big part of the money they need for the material to enlarge the skatepark. www.floraskatepark.org keeps you updated about the progress of this project.